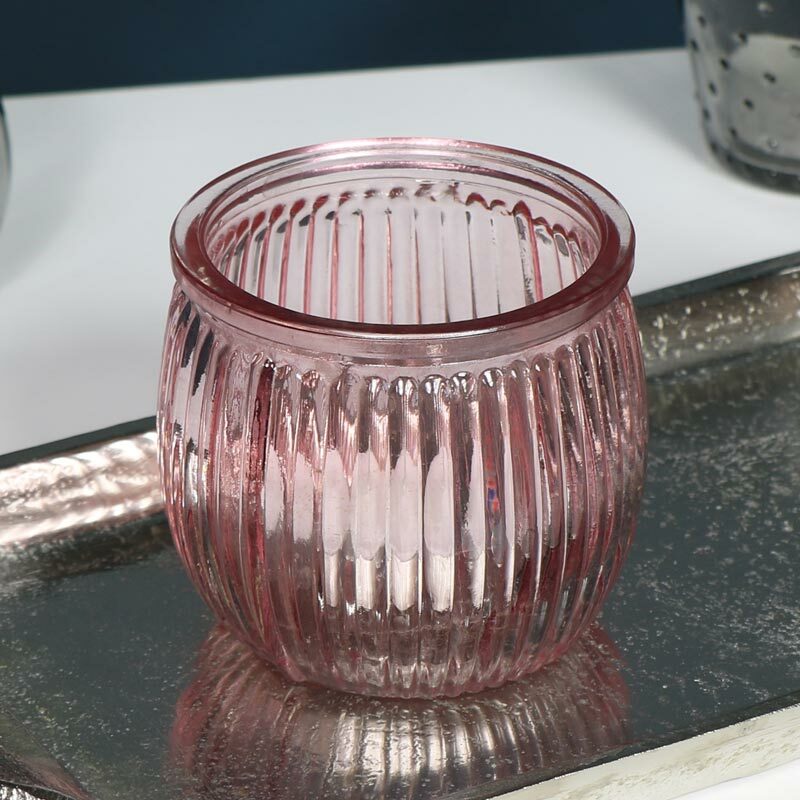 Pink Ribbed Glass Tealight Candle Holder - Ribbed glass tealight candle holder in pink, perfect for adding a decorative look to vintage decor or wedding table centre. Simple, elegant Pink Ribbed Glass Tealight Candle Holder, easily holds standard size tealight candles and will create a soft glow to a room. Candle holders and candelbras can add that perfect finishing touch to a room. We have a wide selection of candle holders in a selection of colours and sizes. 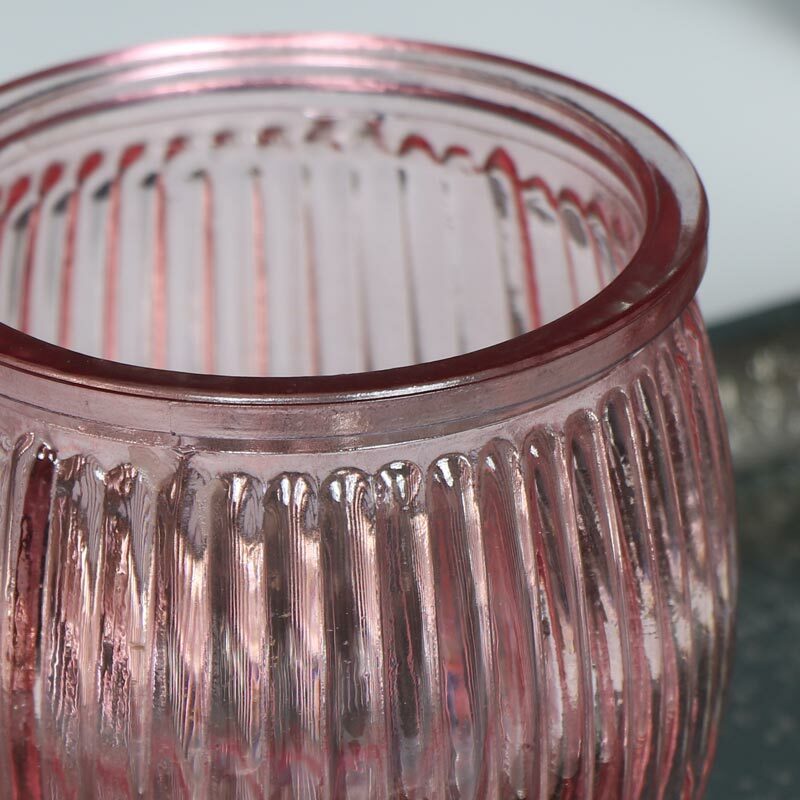 Pink Ribbed Glass Tealight Candle Holder - Ribbed glass tealight candle holder in pink, perfect for adding a decorative look to vintage decor or wedding table centre. Simple, elegant Pink Ribbed Glass Tealight Candle Holder, easily holds standard size tealight candles and will create a soft glow to a room. Candle holders and candelbras can add that perfect finishing touch to a room. We have a wide selection of candle holders in a selection of colours and sizes. Made from glass in a pale pink with ribbed glass detailing.